It gives me great pleasure to introduce Australian author Lauren Chater to Carpe Librum readers today. 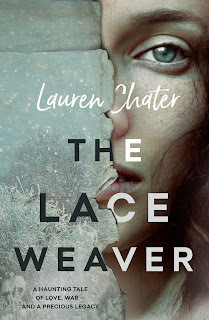 Lauren is the author of The Lace Weaver published with Simon & Schuster this month. Thanks for joining us at Carpe Librum Lauren. Firstly, can you tell us about your debut novel The Lace Weaver? 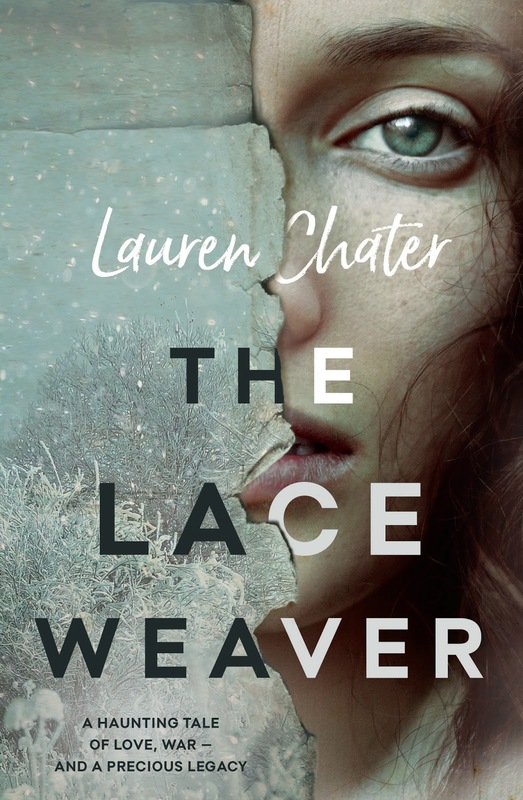 My debut novel The Lace Weaver has just been released by Simon & Schuster. It’s an historical fiction story set in Estonia in WW2 about two very different young women fighting to survive and preserve the legacy of traditional knitted lace passed down through their families. It’s a book I’m obviously very passionate about. I hope people enjoy it as much as I enjoyed writing it. I’m very interested in the role the weaving of gossamer lace shawls takes in your novel, can you tell us more about it? Is it true they are so fine they can be passed through a wedding ring? It is indeed true that they can be passed through a wedding ring. The yarn used to make gossamer (or to be more specific, Haapsalu) shawls is very fine and soft. At the height of their popularity, around the early 1900’s, the shawls were used to promote Estonia's culture and heritage. The Tsar bought one for his wife and the screen actress Greta Garbo was given one as a gift, in the hope that she would wear it. An American gentleman actually had plans to hire a group of Estonian knitters and take them to America to make shawls for his department store. Alas, successive world wars put an end to his plan. The women still knit shawls in Happasalu, though. There is a shop and a museum there where you can see them being made and purchase one for yourself. I read that you were inspired by an old book you found on Estonia knitting and shawls. What captured your interest? I work in a library and one day while I was shelving in the craft section, I stumbled across a book about Estonian lace knitting. Curious, I opened it up and read a bit more. The book not only contained details on how to make the shawls but also the history of this small Baltic country which had been occupied by many larger nations. As I got deeper in, I sensed there was an amazing story waiting to be told. Have you been tempted to try any of the techniques yourself? I have tried my hand at knitting but I must admit, I’m not very good at it! It requires a lot of practice and patience, both of which I don’t have since much of my time is occupied with writing and trying to improve my craft in that area. In another lifetime, I think I would have been a knitter. I’d love to devote a few years just to mastering it. Maybe I’ll put it on the bucket-list for when I one day retire! If you hadn’t seen that book, do you think you would still have written a book yourself? I doubt I would have written The Lace Weaver if I hadn’t come across that craft book. I’m ashamed to admit this, but I didn’t know a lot about Estonia when I first start researching. It’s been a long journey to try to understand the culture and the language, as well as the history of a country which is rich in folklore and tradition but which has faced lots of hardship. Estonia did not regain its independence from Russia until 1991, so there are still many stories there needing to be told. What research did you need to carry out during the writing of The Lace Weaver? Apart from reading many, many books by both Estonians and about Estonians, I traveled to the Baltics in 2015 and spent a lot of time visiting the places mentioned in my book. I was lucky enough to find a wonderful guide who took me to some unusual places, like a bunker in the forest where the partisan fighters lived until they were killed by Russian authorities, and an old derelict factory called Kreenholm (translated: The Island of Crows) which is one of the settings in The Lace Weaver. I also spent some time at the Estonian archives in Sydney, sourcing material and interviewing women who were both knitters and story-tellers. Many of the stories they told me have ended up in the final version of my book. What’s it like working in a library now that you’re a published author? Does it change things? I haven’t actually worked a shift for a little while at the library, since I’ve been very busy writing my next book! But the library staff are completely and utterly wonderful. I’ve been so lucky to have them support me all through the process of writing and editing. They’re all coming to the book launch, too. I couldn’t have asked for a lovelier bunch of people to work with. 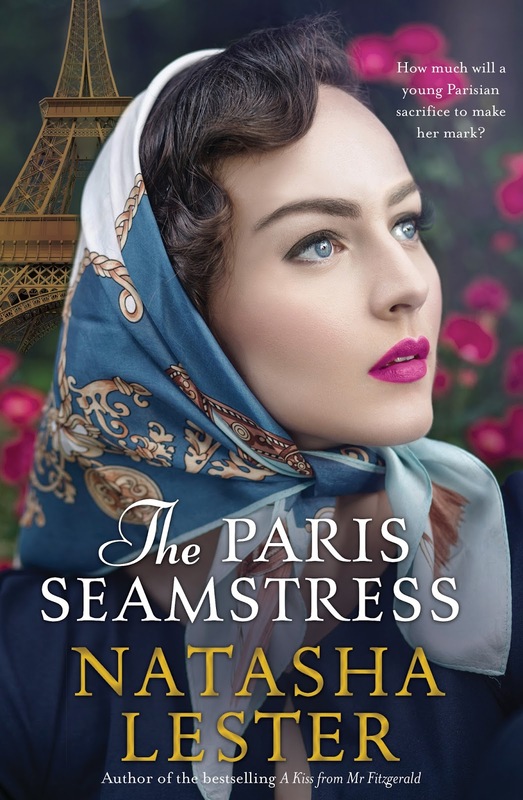 I currently have an advanced copy of Natasha Lester’s forthcoming book The Paris Seamstress on my bedside table; I’m nearly finished and it was as wonderful as her others. I’m also reading The Danish Girl by David Ebershoff. A bit behind the times with that one, but I only recently saw the film and decided I had to read the source material. It’s so moving and yet there’s so much hope that people can find acceptance. I love that about it. Do you have a secret reading pleasure you’d be willing to share? I’m not secretly enjoying reading Harry Potter and the Philosopher’s Stone for the first time to my son and daughter. It’s delicious to watch the way their eyes light up when we read the bits about the Hogwarts feast (they clearly take after me in their love of food) and also really wonderful to hear them laugh in all the right places. It’s been one of the best moments of parenting so far. I kept all my original copies too so they are getting the full ‘noughties’ experience. I have a friend who purposely did not read the series when the books were first released, because she wanted to savour reading them together with her kids for the first time. I’m afraid I couldn’t go that far! I read that your next novel is going to be called Gulliver’s Wife. What is it about? My second novel Gulliver’s Wife, retells the story of Gulliver’s Travels through the eyes of Mary Burton, his long-suffering wife. It’s set in 18th Century London, so a world away from The Lace Weaver but there are some similar threads running through the story about the nature of women’s work, the capacity of women to support and nourish each other during times of hardship and the power of love to heal. I’m halfway through the first draft it now and I love it. Wow, that sounds really interesting. Anything else you'd like to add? Thanks for sending me your questions! Your blog looks like a wonderful resource for readers and writers. Good luck with your next read! Thanks so much Lauren! 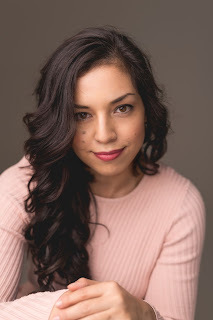 Congratulations on the release of your debut novel and good luck writing the rest of Gulliver's Wife.